Submission to GameDevNetwork: The Big Festive Game Jam - Theme: Surprise! 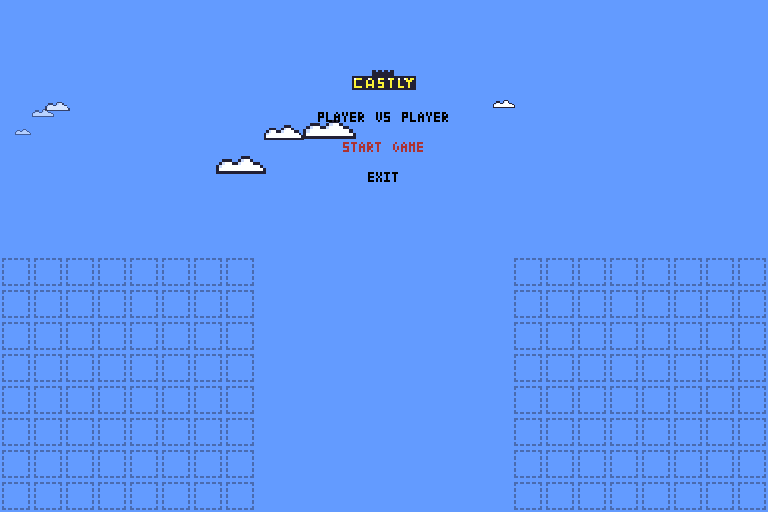 Castly is a game made for the #BigFestiveJam, inspired to the famous Ballerburg game. Two players fight by costructing their base and placing cannons to attack. 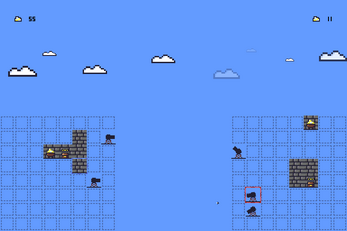 Game is very fast paced and can be played alone (against an AI) or with a friend. Big Festive Jam theme was "Surprise", therefore at the center of the screen once and a while a surprise in gold will appear. Players must balance their strategy deciding whether to attack, defend or getting gold (either by mining or getting the surprise). Objective: destroying the enemy treasury. This is your treasury, you must defend it at all cost! Action: change object to place. The mine is a must to boost your gold supply. Action: increase gold - Cost: 30. The wall is.. just a wall. Use it to protect your castle - Cost: 10. 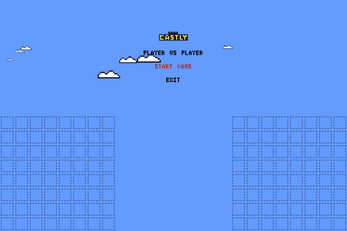 Castly is open source, and you can find the repository here.